Demolition orders issued against the homes of Hamas murderers who killed Gilad Sha'ar, Eyal Yifrah and Naftali Frenkel. 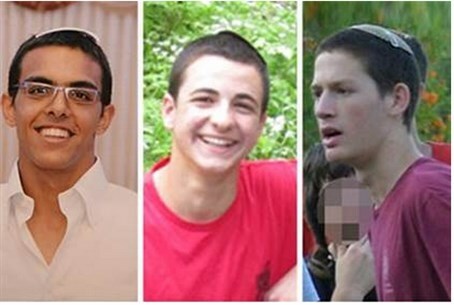 The IDF has issued demolition orders for the homes of the terrorists who kidnapped and murdered three Jewish teens – Gilad Sha'ar, Eyal Yifrah and Naftali Frenkel hy”d. Marwan Kawasmeh and Amer Abu Aisha, who abducted and murdered the three boys last month in Gush Etzion, live with their families in Hevron and have disappeared since the abductions. On Monday, the IDF arrested several realtives of Kawasmeh, as part of the ongoing efforts to locate the abductor-murderers. In the course of the arrests, violent disturbances took place in Halhoul, Rachel's Tomb, Bitunia and Jenin. IDF forces uses riot dispersal gear against the rioters. Earlier this month, the home of the terrorist who murdered Baruch Mizrahi hy”d, Ziad Halil Awad, was destroyed at Idna, west of Hevron. The destruction was carried out after the High Court rejected a motion to block it. The family members of the teens' murderers are also expected to file a motion with the High Court. The mother of one of the Hamas kidnappers who the IDF has identified as being behind the June 12 abduction of the three Israeli teens has spoken out, both denying his involvement yet saying if he is behind the abduction "I'll be proud of him till my final day." Abu-Aisha's father, Omar, himself has been arrested numerous times for security offenses according to the IDF, and Amar's brother was killed while committing a terror attack in 2005 against an IDF patrol.